Fitness is not related to age or size of a person. More early you start taking care of your body, healthier it will become in the coming years. People, these days, have become more aware of their health and try to be fit. Joining a posh health club with best amenities is not in everyone’s budget, but owning a perfect machine for home is possible. Body-Solid is one brand which is bringing significant change and incredible technology for the past 25 years. Since then, it is manufacturing and providing high quality-fitness equipment. Body-Solid is based in Forest Park, Illinois and was founded in 1989. The health equipment manufacturing industry has seen drastic changes since then, and Body-Solid has never lost its focus. Its mission is still the same – Delivering high-quality, value for money fitness products for fitness-conscious consumers. This company swears by its products and makes the best machines for home use. What Makes Body-Solid Stand Out? Over the years, Body-Solid’s motto, i.e. “Built for Life” has made it one of the leading manufacturers in this fitness industry. They are the premier manufacturers and distributors of great-quality fitness machines, for home and commercial use. Back in 1989, it started its journey with a simple Olympic bench, and by 1994 it became the first ever company that offered Lifetime Warranty on fitness products. It also introduced its Endurance line of cardio products. It now boasts about providing one of the widest arrays of fitness products in the industry. Endurance Cardio manufactures world-class Treadmills, Ellipticals, Rowers, and Exercise Bikes, with state-of-the-art electronics, sturdy constructions, super-quiet flywheel, adjustable seat, extra padded seat and pedals, and user-friendly console. They are built with the scrutinizing standards of health club equipment. They are sure to offer you a lifetime of cardio fitness and excellent health. Endurance by Body-Solid is a time-tested company with a strong focus. It manufactures mid to high range of treadmills. The pre-set programs offered by these treadmills work on every fitness aspect – Interval Training, Cardio Training, Weight Loss, Speed, Endurance, etc. The treadmill has foldable and non-foldable, both types of models. The track is well cushioned to absorb the impact exerted by the runner and in turn, save his knees and joints from any injury. The line up for exercise bikes by Endurance contains upright and recumbent exercise bikes. These bikes are of excellent quality built with a heavy gauge steel frame and great warranties. They are comfortable, easy to use, safe and help in achieving your fitness goals. The transport wheels on these bikes make them portable and easy to handle. They have a commercial look to them and are capable of handling weight up to 400lbs. The cross-training that the ellipticals by Endurance provide is the best. It lets you feel thrilled, satisfied and rejuvenated with each workout session. This machine has a different impact compared to running or cycling. The ellipticals work on your glutes, calves, and quads rather than on knees, feet, and hips. The ellipticals by Endurance provide a cardio-efficient and non-impact motion of the upper body. These ellipticals are one of the best in terms of performance, quality, engineering, and research. They deliver the best workout and keep the user motivated throughout. It uses an internal generator and does not require any power. The elliptical by Endurance is E5000 and is regarded as one of the best cross-trainers. The rowers by Endurance are ideal for a low-impact workout. They deliver a total body workout and are sure to increase your stamina. The rowing movement offers high-intensity cardio and works on hamstrings, biceps, triceps, quadriceps, abdominals, hip flexors, and more. The rowers are self-generating, and the precision-engineered flywheel offers a noiseless workout. The handle of the rower is very proper and fitting which helps the user in a natural rowing movement. 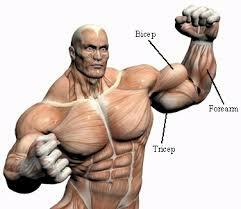 The arm and hand position becomes real and this makes the workout more effective. The footrests are fully adjustable and give a safe and effective workout. The console is very interactive and reports vital data like Heart Rate, Stroke Rate, Calories, Paddle Width, Distance Cycle, and Watts. Its rowers are one of the best rowers for home use. The rower by Endurance is R300. Endurance brand produces the best cardio machines. The Endurance machines are solid and robust. Endurance produces machines for home use that are easy to use. The features are fully loaded and give a commercial feel. All the Endurance products do not support Bluetooth Connectivity. Endurance gives a decent speed and stride length as compared to other brands. The brand Endurance by Body-Solid is one of the most reputed in the fitness equipment manufacturing industry. The cardio products of Body-Solid are manufactured and sold under the name Endurance. Its machines are built to replicate the look and feel of a professional health club machine and to give you a lifetime of perfect health. Its treadmills and exercise bikes have various models which can suit the user. They offer an excellent cardio workout, which is crucial to an effective training program and good health. These machines give you the endurance and the ability to continue in sports and your life. The sturdy and robust steel frame construction, noiseless workout, amazing pre-set programs, user-friendly and feedback loaded console, and secure transport of equipment make these machines one of the most-liked products for home and commercial use by Endurance. These remain the best and most preferred choice for in-home gyms.